Are obstacles keeping you from completing your clients' concrete projects quickly? Finish your customers' concrete projects with ease when you take advantage of truck-mounted pumping services from our company in New Hyde Park, New York. ABC Concrete Pumping Inc. excels at providing concrete pump trucks for all kinds of commercial and residential projects that you may be having a hard time finishing. Contact us for immediate attention to your concrete pumping needs. We use Schwing® pumps because this brand is widely known to be the best in the industry. Our array of 8 different sizes of pumps measure 22m to 42m and are capable of pumping 1 to 500 yards of concrete up to 2,600' horizontally and 250' vertically. 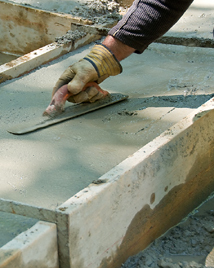 concrete pumping services that let you finish your customers' projects on time.